I was born and bred in Cornwall but now live in Burnham-on-Sea with my lovely husband Will and our loony cat Millie. I work part time as a receptionist and run a card making club which meets twice a month. I've been doing some sort of craft since I was a girl when my mum taught me how to knit. Since I would by whichever wool was on offer, I made some "interesting" jumpers when I was a student. I also dabbled briefly in candle making when I was a girl, melting the wax in a saucepan on my mums cooker. I was making a pink candle one afternoon but thought the cerise was a bit bright so to tone it down I added some water to the molten wax. Colour me surprised (and pink) when it exploded all over the kitchen. After university I took up cross stitching and sometimes designed my own patterns, but when I started full time work I didn't have the time to craft much. I took up card making in 2006 for two reasons; firstly I had spent several months recovering from arm injuries and was really bored, secondly I thought that the cards in the shops were getting way too expensive, so I thought I would save some money by making my own. Ha, ha!!! I have now bought so much stuff I could stock a small craft shop. When I started I had a few ideas but I was stuck for inspiration. Luckily I found a new card making club that was being run above the local craft shop and I picked up lots of new techniques (thank you ladies, especially Paula and Heather). I became firmly addicted to stamping though after I saw the first Clarity show on Create and Craft. I was amazed at what Barbara could do with a piece of card and some ink, and I have watched every single show since. Sometimes I'm even brave enough to have a go myself! 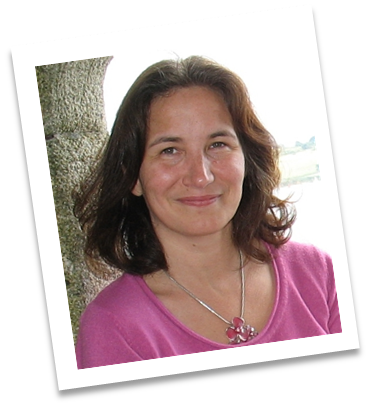 I was thrilled to meet Barbara at the Exeter craft show last September where she demo'ing gelli plate techniques, and then my mum and I got the opportunity to attend a Clarity workshop. We had a brilliant day, we met some lovely people and had great fun playing with the gelli plate and all the fabulous stamps and stencils. After only a little badgering my husband got me membership of the New Designs Club for my birthday (greatest present ever). 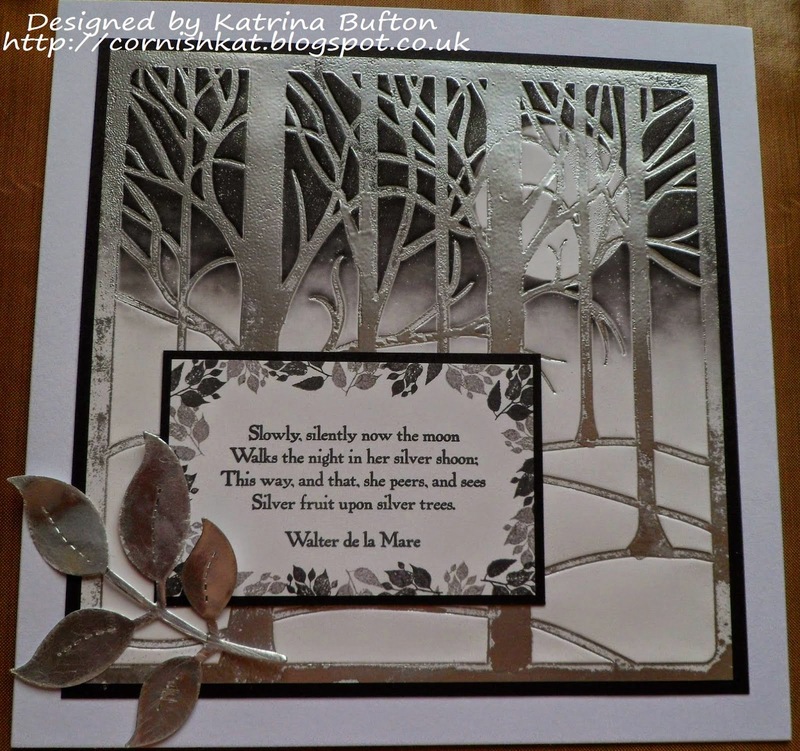 Here's Katrinas artwork using the treescape stencil, look at how shiny the trees are! Thanks for sharing your crafting background Katrina!